: Pick up from your hotel in Marrakech. After a transfer to the little village of Imlil we begin our trek. 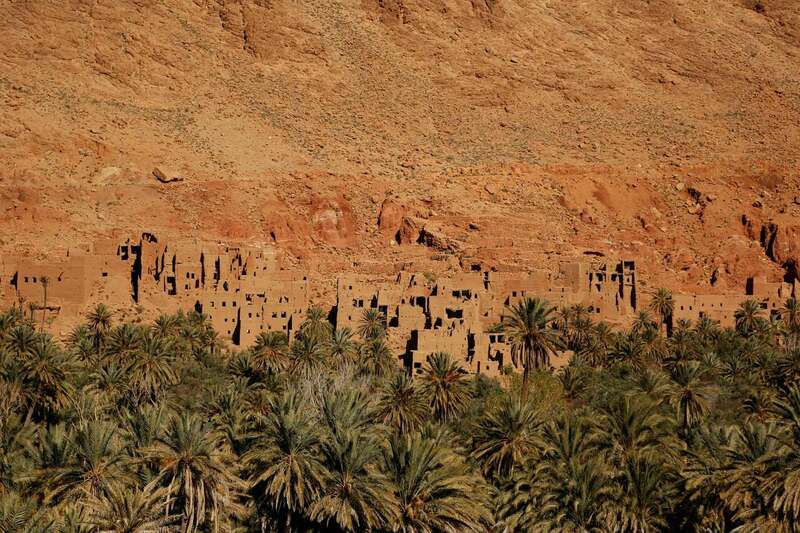 Heading along the Mizane Valley, we first pass the village of Aremd and then onto the shrine of Sidi Chamarouch. We then continue east and by crossing the flood plains our route takes us along mule tracks and up into the high rocky cliffs above the valley. Crossing the river we eventually come to the pastoral shrine of Sidi Chamarouch, which attracts tourists and pilgrims. From here the trail continues to climb steadily, snaking and zigzagging its way up to the snowline and the Toukbal Refuge (3206m), our stop for the night. Night in a tent nearby the refuge. 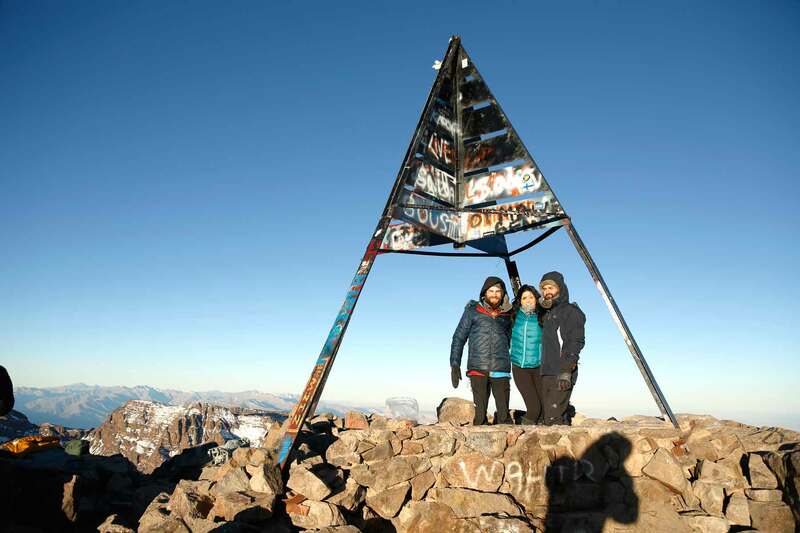 Early in the morning we make our attempt on the summit of Jebel Toukbal, the highest peak in Northern Africa. Our route takes us up the south cirque, crossing the stream above the refuge. The walking is relatively straightforward, but the scree and the altitude will make the going quite difficult in parts. The views along the way make the journey more than worthwhile. 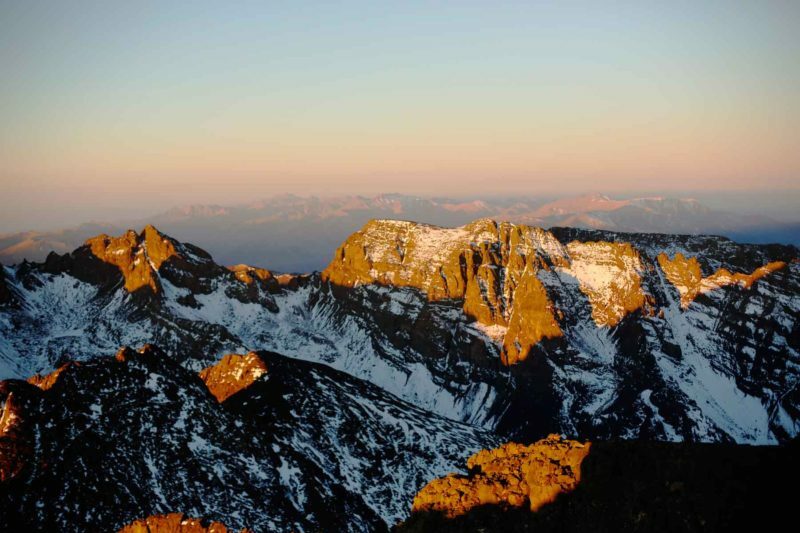 When you reach the the summit you will see that the vistas across the surrounding landscape are quite breathtaking. From here there are unrestricted views in every direction, from the Marrakesh Plain to the High Atlas in the north and as far south as the Anti-Atlas and the Sahara. We will retrace our steps when we return down the mountain and head back towards Imlil. Night in a guesthouse in Imlil. After breakfast we will leave Imlil. First we cross the spectacular Tizi n’Tichka Pass of the High Atlas mountains. You will pass through many Berber villages, and once in the desert, riverside oasis and barren hillsides are clustered with Kasbahs. After lunch we drive further to Valley of the Roses, with beautiful views of the Dades valley, valley of a thousand kasbahs. 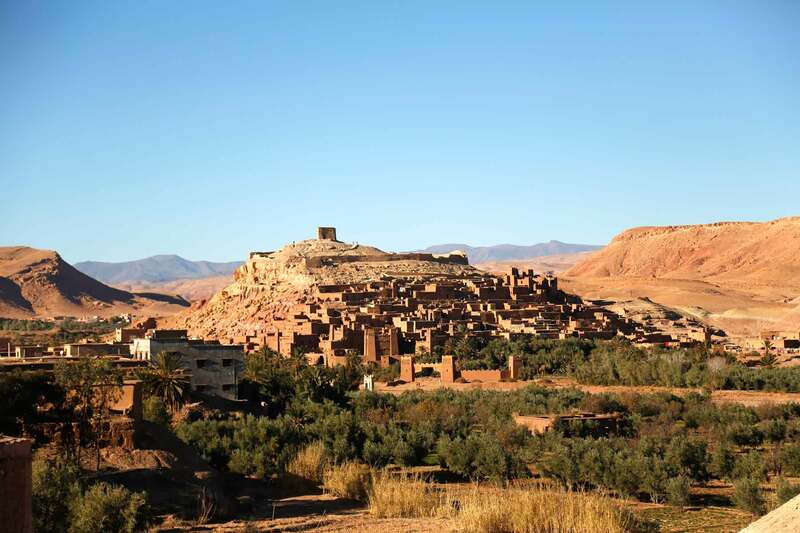 In the way to Dades you will be able to visit Kasbah Ait Ben Haddou. Overnight in Dades. 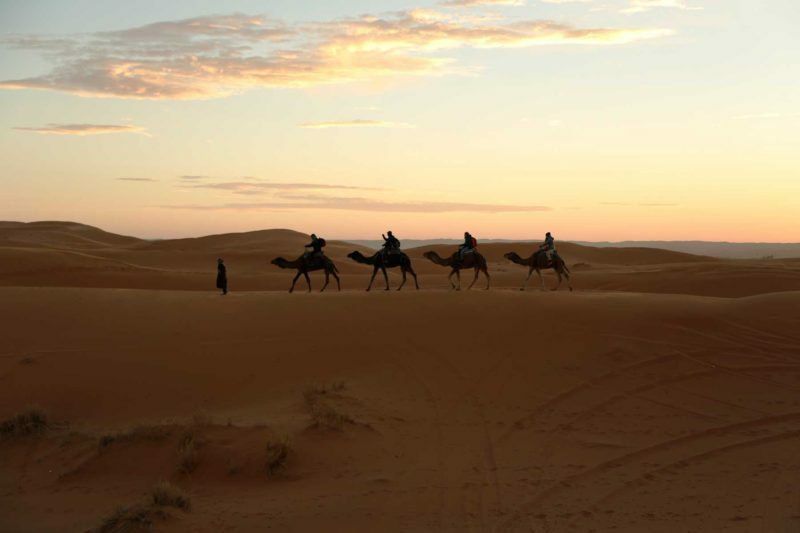 After viewing the most beautiful sunrise and having breakfast at the camp site you will ride the camels back to the auberge. 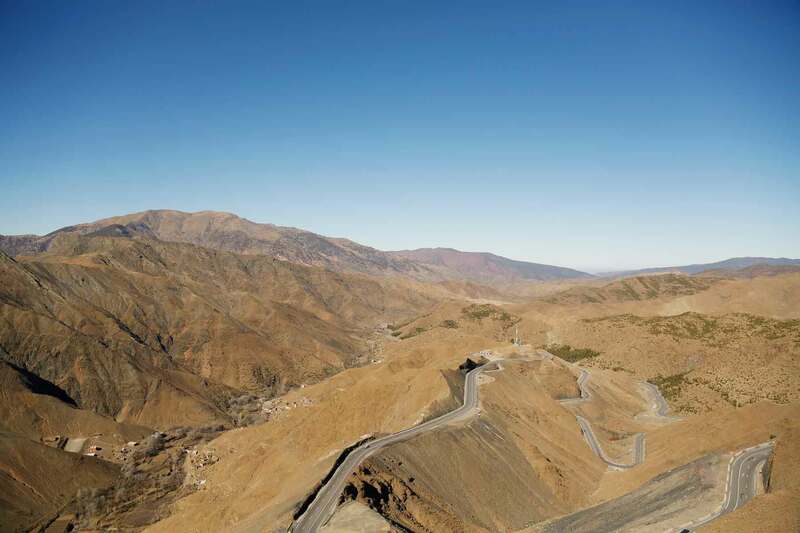 From there it will be a long day driving back to Marrakech, again via Tichka pass.